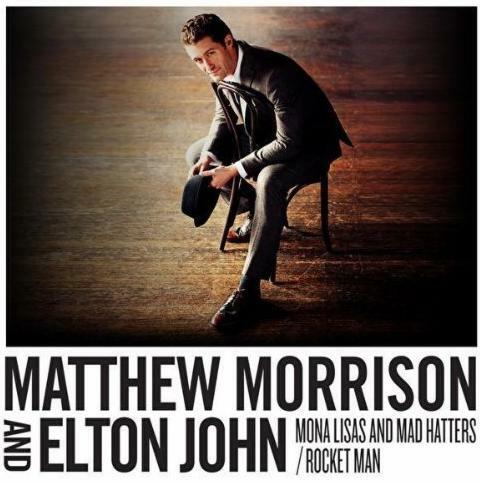 The forthcoming Matthew Morrison album (due for release here early next month) seems to be taking on a gleefully familiar pattern. 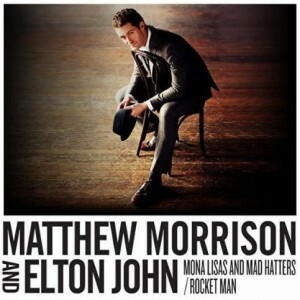 He’s roped in a few top name performers to guest on the long player – first a recording of ‘Somewhere Over The Rainbow’ with Glee guest star and Mrs. Martin – Gwyneth Paltrow, and now a duet with Sir Elton John on a mash-up of Elton’s tracks ‘Mona Lisas And Mad Hatters’ and ‘Rocket Man’. Mash-ups? Guest stars? Sounding familiar? Even Sting drops by for a cover of his ‘Let Me Be Your Soul Pilot’. The new EJ/MM recording has already been released digitally in the US and will be available here when Matthew’s self-titled debut drops to retail on Friday May 06. No word whatsoever when either track will be released digitally here. We’re assuming that Universal will wait with these now until the album’s released. There’s no mention of either on their digital release schedule.